We received an Ozobot Bit sample for help in creating this content. 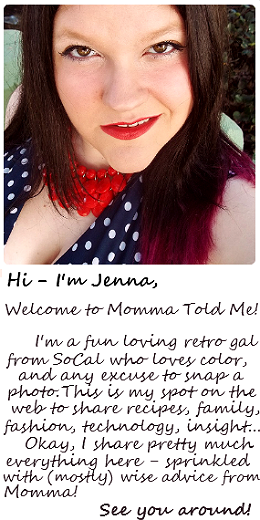 All images and photos contained below are copyright Momma Told Me Blog 2015. Momma Told Me: Boredom is simply an idle mind. When I was a young girl, about age 7, I caused Momma a lot of grief. It seems like there was a period where my parents were requested for progress reports and teacher meetings almost monthly. Then, my 2nd grade teacher suggested I be tested for G.A.T.E-I was taken to a large auditorium with several other children of varied ages and given a large booklet of a test (similar to benchmark testing.) Much like my schoolwork and home studies, I finished it at an accelerated pace and was found tapping my pencil on the desk to a rhythm inside my head. I had no idea what the test was for, and no explanation was given at the time; I simply remember being told about the results. My parents were relieved that I had been identified for an accelerated learning program, since my trouble making behavior was then attributed to boredom in the classroom, rather than disobedience, but I had a long uphill battle ahead of me in schooling. Despite being placed in a school and classes specifically targeted to challenge and engage me, I found many of my existing friends, and old classmates did not share similar interests. It wasn't long before I was tinkering with science and math principles 'for fun,' a practice which had begun to alienate me from my peers. 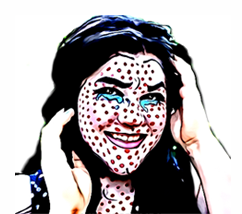 It wasn't until somewhere around 5th grade, when I joined a dedicated math and science club (to train for an academic triathlon, that I at last felt comfortable in my own skin.) 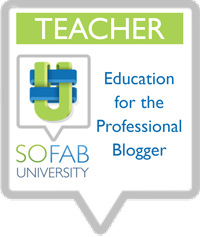 So, today, the topic of S.T.E.Mhttp://www.ozobot.com/learnzone/ (Science, Technology, Engineering, and Mathematics) education is one dear to my heart. If only all children could learn to embrace and nurture these skills with enthusiasm, perhaps it could be come 'cool' to be curious once more. 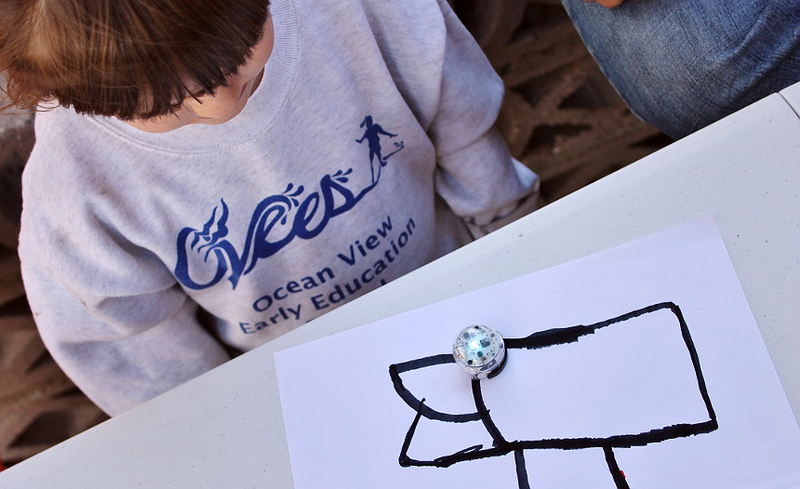 When we first discovered the Ozobot range of programming and color coding robots, I was a bit intimidated, and equally concerned that the concepts involved would not be so easy to translate to the children who were easily distracted and frustrated in our play group at the daycare. 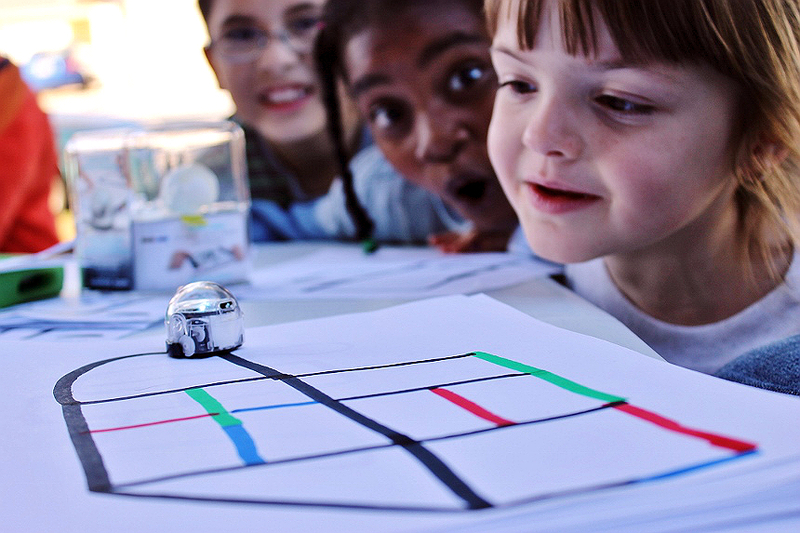 While there are 3 levels of Ozobot, we began by exploring the Ozobot Bit, a miniature robot with simple operation and big possibilities. Oz, as we call him, can be used with the included paper cards and worksheets, with hand marker drawn tracks and maps, or even on digital screen devices through the OzoBlockly programming apps (available on both iOS and Android). So, what exactly does one do with this small half globe shaped robot? Well, he has a single button operation, and anyone who can press that button, and place him on the provided calibrating pad, can use him. We first tested him out on some printed maps and grids designed by the Ozobot team, indoors, ins fairly mild natural lighting. He worked without a hitch, following the lines and reading color coded bars to respond to commands. All initial 'coding' is done through pre-programmed responses to various types, colors, and sequences of lines. When we brought Oz to our play group the lighting was obscured much like it had been in our house, but we quickly learned we had to 'work' in a heavily shaded area with consistent lighting if we were going to explore outdoors. I was hesitant of the children (age 4-11) grasping the concepts of commanding this robot through visual, drawn, commands- but it was immediately obvious I had them captivated with the way in which this tiny robot zipped around the printed tracks. Armed with some computer paper and washable (black, red, green, and blue) markers I asked the kids to draw their own 'tracks' and mazes for Oz to follow. Right away the youngest kids were learning and focused on taking direction. These children were all in and completely invested in what was going on, and every new discovery fascinated them. Having the pre-printed tracks was 'cool' but watching the robot zip around on a shape they'd drawn themselves was captivating. We have several personalities and learning levels in our group- while some of the older kids actually needed to master the concept of connecting the track lines, and drawing with a broader edge, for Ozbot to scan and follow, Lynsey the 4 year old immediately latched on to the programming concepts like a sponge. I was not only impressed with how Oz followed her somewhat rough drawn track, but how she lit up and hungered for the change to add more intersections, turns, and even color based commands to her next track. 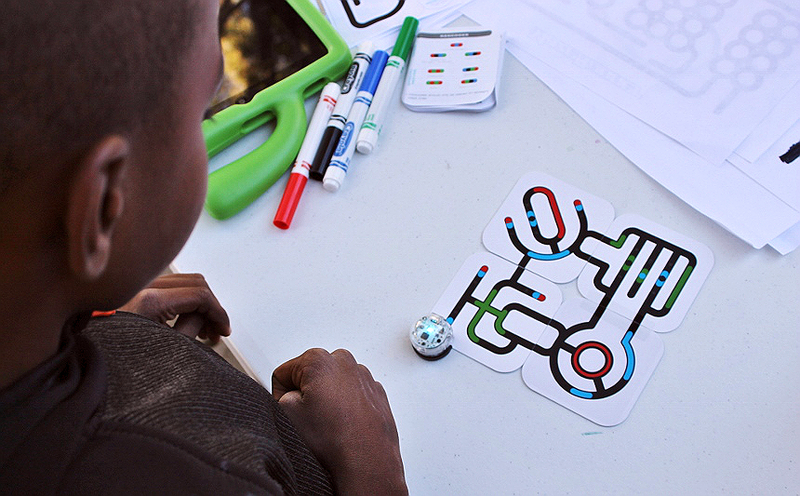 While it may all just look like a bunch of funny colored lines, on paper and in photos, seeing Ozobot Bit in action is just plain fascinating. Even as an adult I found myself wanting to tinker with it on my own personal time, in the effort to make the perfect 'track.' 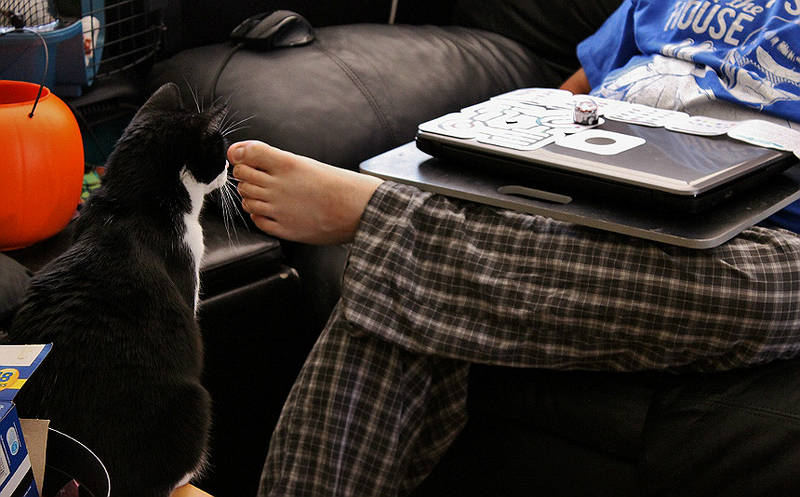 So, how does this engage children beyond a novel parlor trick of a robot zipping along lines? 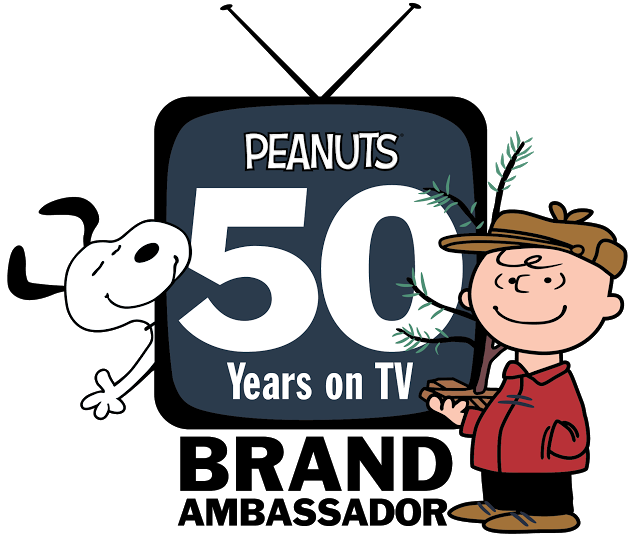 Not only does Oz have the potential for advanced programming in the form of calculated mazes and even 'dances' through FREE applications and programs, kids can complete activity sheets with problem solving when they drawn in the color code (for example, green-red-green) to help instruct Oz through a maze or obstacle. There are dozens of configured color coding combinations this tiny robot knows, from 'speed up' and 'cyclone' to 'turn around' and color recognition. That's right, he'll even light up to help convey the color of the track he's currently following- check out our video! It's hard to find a 'toy' that challenges children to use progressive problem solving without presenting a literal challenge. The kids were learning and absorbing starting programming concepts without even knowing it, in an attempt to 'command' this tiny robot. 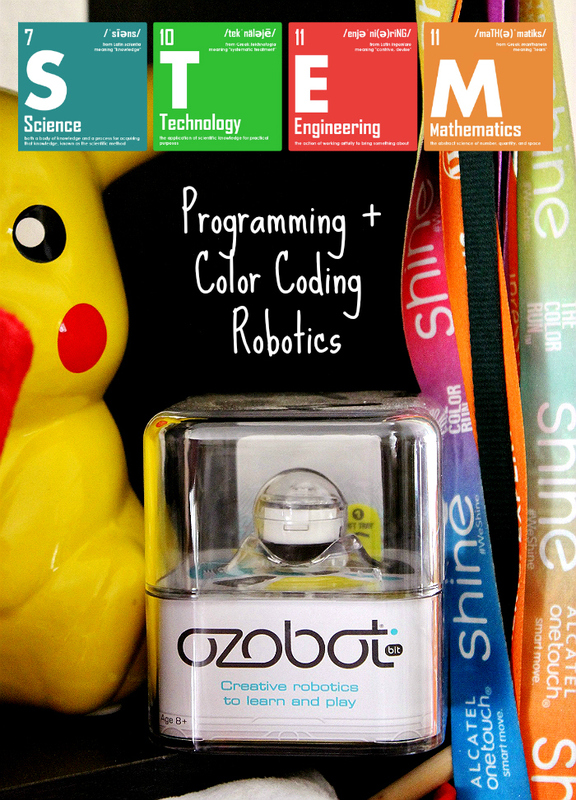 And, with an hour of battery life off a single charge, the Ozobot Bit can withstand various coding lessons and S.T.E.M learning programs. In fact, I know of a few local math and science clubs and after school programs already using them to engage curious minds! 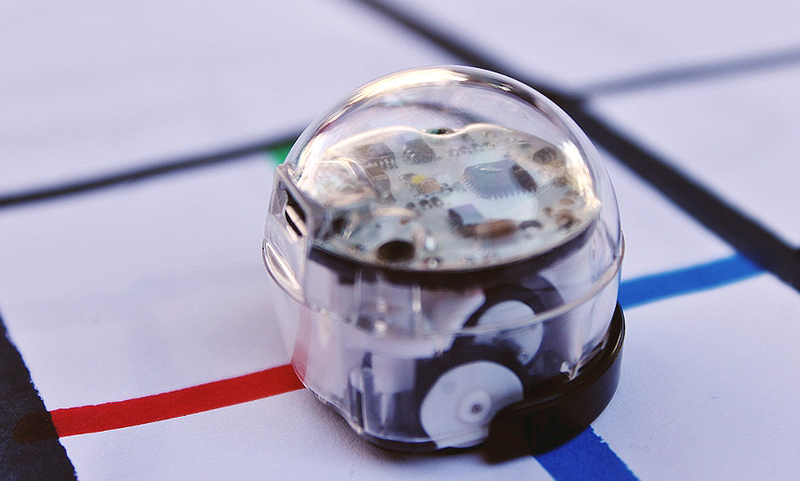 As an adult I still love to 'tinker' and the Ozobot Bit is an incredibly simple to command toy that challenges and excites minds from young to old. 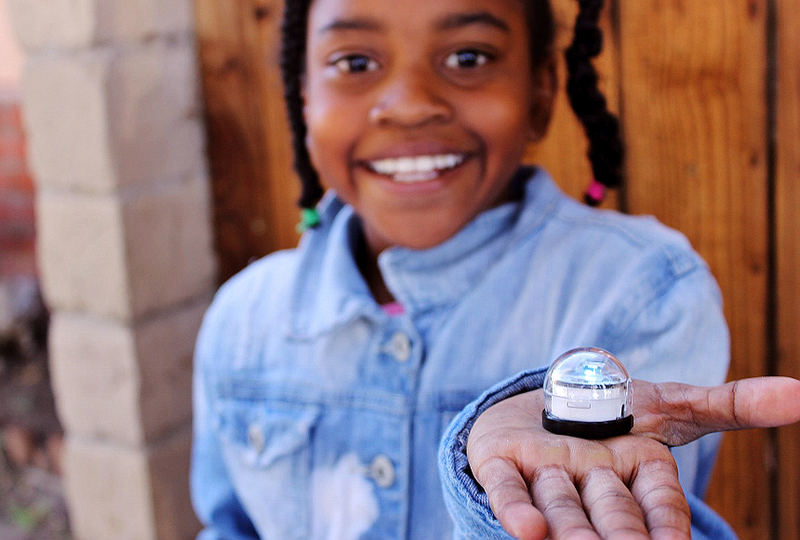 I'm hoping to slowly acquire a few more Ozobot Bits so we can do races with the group, and my niece Sabrina (13) will be getting one for the holidays. 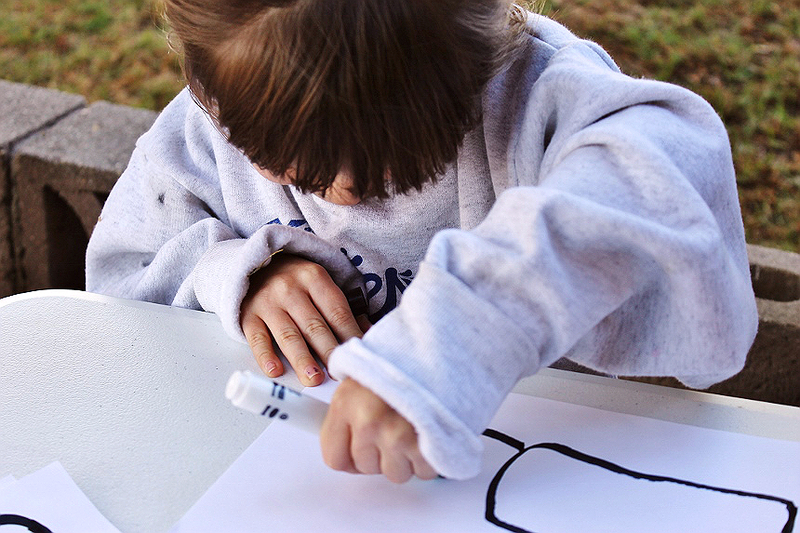 What was one of your favorite educational tools or projects as a child? 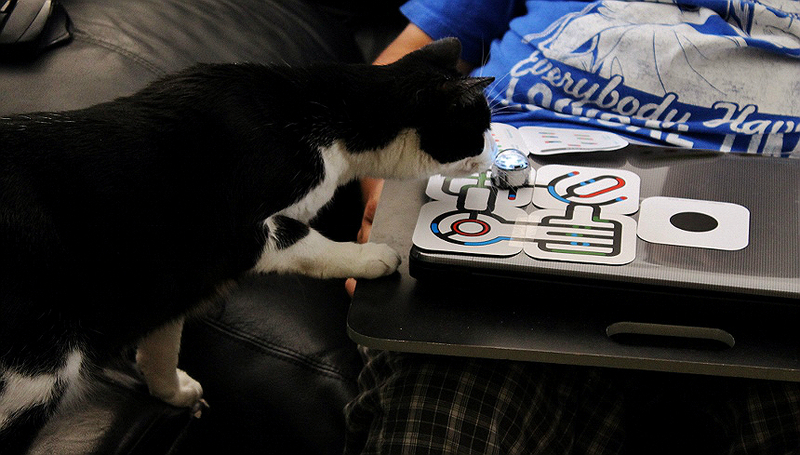 What Daughter Says: Challenge idle minds with the exciting concept of robotics. That is SO cool. My youngest would LOVE this. I think I might get him one for Christmas actually. This is fantastic! I love that you can have fun and learn with it and technology never ceases to amaze me. I must get this for Christmas! What a cool learning toy! 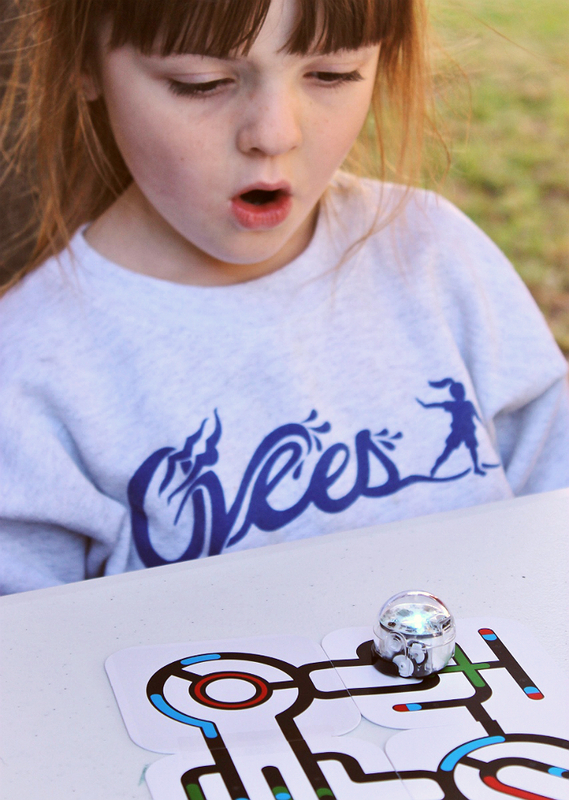 The Ozobot Bit is something every parent should be checking out for sure. Love this! This looks SO amazing! 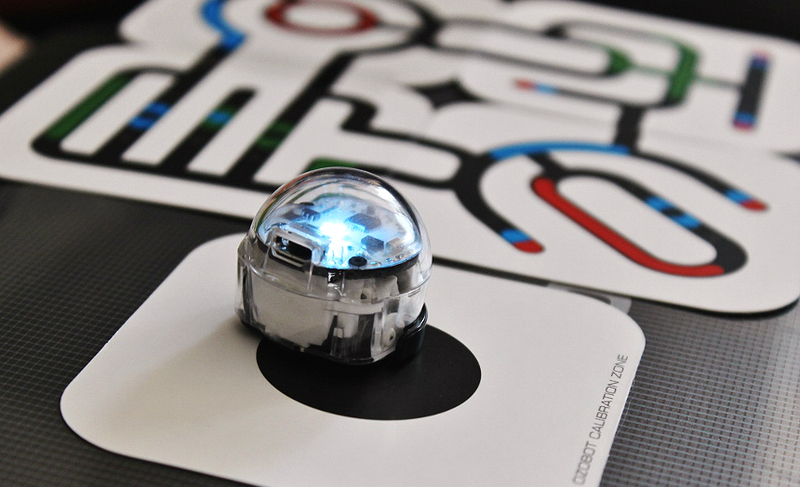 I'd love to put an Ozobot Bit under the tree for Christmas - I think my son would love it! How awesome is this?! We are incorporating more STEM at home and this wold be perfect for my oldest two! Wow. This looks so fun! I want this for my kids. Wow, I have never seen this toy before but I know it is one my kids would love. Adding this to my Christmas shopping list! Looks like a lot of fun. I bet my kids would love it. 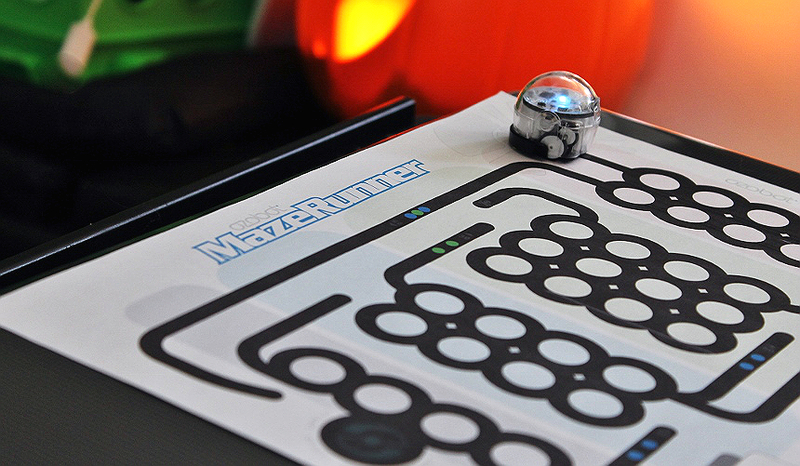 I haven't heard and seen this cool ozobot, I'm sure my son would love it. My kids have a few of these Ozobot toys. I swear, my husband had more fun with them than they did! He is an engineer so that might explain things. Woah, that looks so cool. The kids look amazed. I think my kids would love these. These Ozobot toys look great. Our kids are the future and it's so important to start building STEM skills early. That is so awesome. I love that math and science has evolved so much since I was a kid!